'The Kid Who Would Be King' is a story of fantasy and adventure guided by a group of children who get embarked on an epic adventure, worthy of the epopees of the heroes from the old times. 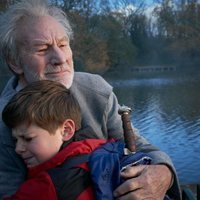 In the film we will be witnesses ofthe story of the young Alex who, despite his normal and boring life at school has a secret to keep, he has found the legendary sword Excalibur. With the sword on hir power Alex and his group of friends must start a journey on this medieval adventure full of monsters, and face the dangerous sorceress Morgana who is destroying the world in order to control it completely. 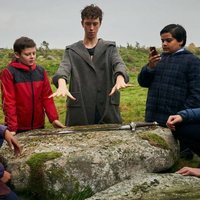 'The Kid Who Would Be King' is the story of the most powerful sword in the world in the hands of the most regular child in the United Kingdom. 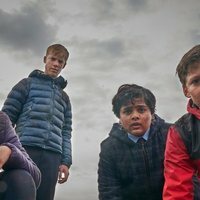 Write your own 'The Kid Who Would Be King' review. Director Joe Cornish has said that the film's title is a playful reference to the title of 'The man who would be king' (1975). The names of Alex's friends correspond with Knights of the Round Table: Lance is Sir Lancelot, Kaye is Sir Kay, and Bedders is Sir Bedivere. The school used in filming was also the secondary school that former James Bond Pierce Brosnan attended when he was a kid.